Karen Whiting is the Senior Advisor (Child Protection and Youth) in UNHCR’s Division of International Protection in Geneva. The Child Protection and Youth Unit in Geneva provides support to UNHCR field operations and works to build institutional capacity to deliver quality child protection and youth programming. 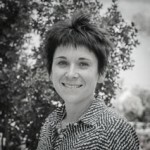 Prior to her posting in UNHCR Headquarters, Ms. Whiting worked with UNHCR in Sri Lanka, the Democratic Republic of Congo, Jordan, Turkey and in the Europe Bureau in Brussels. She holds a law degree from McGill University in Canada.